Ben travels to British Columbia and fishes for chinook (king) salmon and spot prawns. 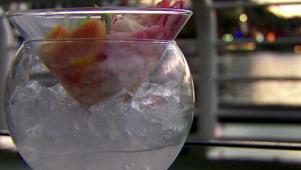 He begins in Vancouver, heading out with fisherman Steve Johansen of Organic Ocean, and Chef Robert Clark, founder of the Canadian seafood watchdog Ocean Wise, to catch spot prawns. Ben and Robert cook up the super fresh prawns at Robert's seafood eatery, C Restaurant. Next, Ben heads out to Vancouver Island where he attempts to get into the local Tyee club by landing a chinook salmon of 30 pounds or more. 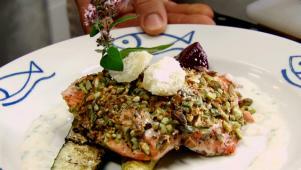 Ben then joins Chef Joe Volk at the Angler's Restaurant to prepare our fish with a pistachio crust. Vancouver chef Joe Volk serves Chinook salmon with cardamom-ginger yogurt. 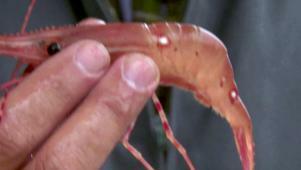 Ride along as the Organic Ocean's crew hauls in fresh, sweet spot prawns. This Japanese salad preparation spotlights the fresh spot prawn.